October 2015 - June 2016. 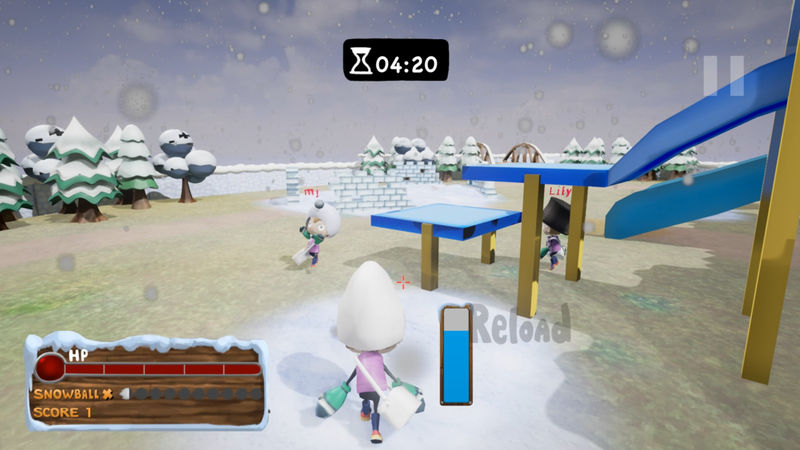 In Snow Brawlers, you enter a snow covered playground with your friends, and become a crazy kid to play a brawler snowball fight! Snow Brawlers was showed at 2016 E3 the MIX event, and it was nominated 2016 Sammy Awards Best Game. Snow Brawlers is my capstone project in UC Santa Cruz's Game and Playable Media M.S. program that I successfully pitched to and greenlit by an industry committee. It is made by 4 students from UC Santa Cruz, with 16 art students from San Jose State University, and 2 sound designers from Pyramind. As Lead Designer, I have found myself making decisions on the great ideas from my team as well as contributing my own ideas. Designed the core mechanic of Snow Brawlers, and did the original pitch. Implemented core play systems: player controls, game states, aiming and shooting system, projectile-tracking crosshair, timer system, and simple camera system. Had scrum meetings with core development team on daily basis. Managed macro design document, art asset list, and audio asset list. In charge of communication with sound designer and UI artist.